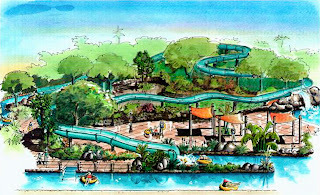 Brand New Schlitterbahn Water Park? Whatever is Morey's Up To? A Blast From The Past - Chance Creates Chaos! 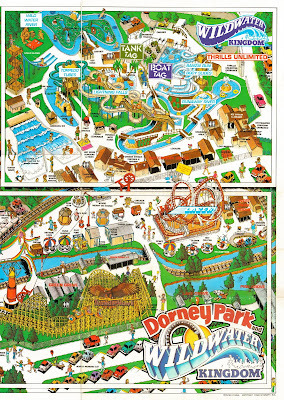 Sabrina's Brochure Spotlight: Hershey Park 194? "Machine and Art" - this is a very nice slogan for Zamperla Rides, which has long been known for offering up some wild rides but also doing a great job with custom theming on them as well. 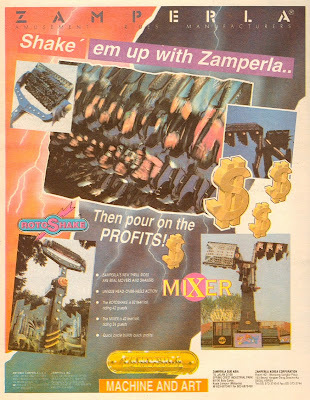 Back when this ad ran the company was pushing two of their large flat rides, the Mixer and the RotoShake. I've been on a Mixer, but never had the opportunity to take a spin on a RotoShake, though I fear it would make me a little green... and not with envy. Knott's bought two RotoShakes back in the day, and I think the one at Mall of America is still the only one operating in America. 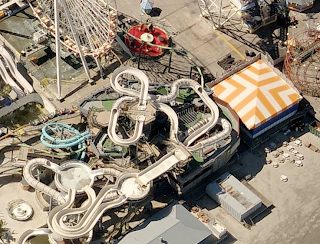 As for the Mixers, well, those seem to have popped up at parks and then were slowly removed as well. Not sure if there are any left operating in the U.S., I know Knoebels and Adventureland had them but those are both long gone. 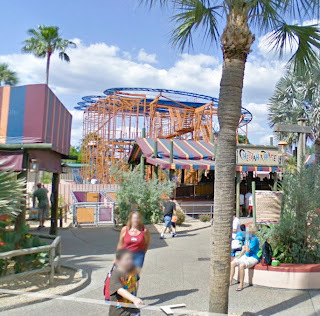 Seems the popularity of both of these rides never took off quite as expected. Fans looking for more information on the expansion of Fantasyland at the Magic Kingdom in Florida should be sure to check out this large photo of a model of the addition. There have been some changes since the original artwork was released, perhaps for the better. It was not just the Great Wolf Lodge next to Kings Island that's adding a Proslide Tantrum for 2010, but also the lodges located in the Poconos, PA, and also Kansas City. The three slides will all be unique, too, no clones here. 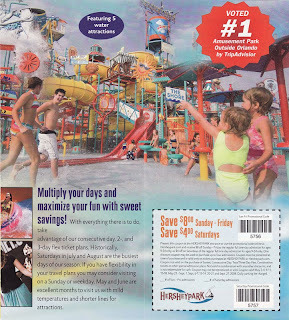 Check out the Poconos and Kansas City Great Wolf Lodges for more info. Alterface, the company that has come up with such creations as the Desperados shoot'em up games, and the The House "5-D" attraction (located as Castle of Chaos in Branson, MO) is now offering an Interactive Theater in a Box. Meant for smaller locations, the interactive simulator/shooting attraction is something that looks like great fun. I hope they start popping up everywhere soon! 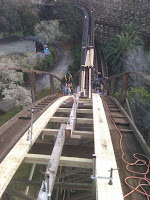 California's Great America is retracking some of the Grizzly wooden coaster, and they've posted some photos to their Facebook account showing the process underway. Check it out here. It's looking like the reborn amusement park at Coney Island will be named Luna Park. It's been said that Zamperla's idea for the park was what got them the contract, so perhaps going full out on a beautiful Luna Park recreation was that idea? I hope, I hope! The famous Zippin Pippin, known for being Elvis' favorite coaster, is finally being demolished. Libertyland was closed in 1995, and the coaster has sat idle since. Most of the park around the ride has been removed, but the Pippin is one of the last items to be removed. 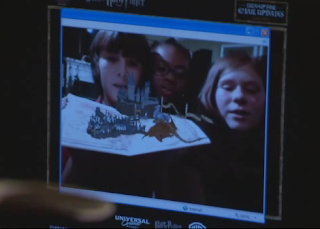 The return of King Kong to Universal Studios Hollywood has many fans excited. 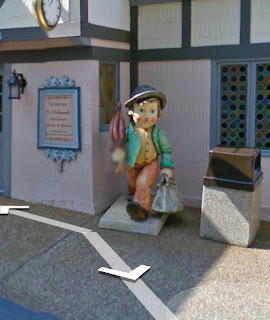 After the 30 ft. animatronic one burned in the fire that sweeped the backlot in 2008, the park quickly started plans to bring him back in a more modern digital formal. Long live the Kong! Kennywood recently started receiving some pieces of their new Sky Rocket roller coaster. Looks like the construction of this one is a tad behind schedule, seeing as track is just arriving at the end of January, but hopefully the ride will be up and running for this summer. Finally this week we have to mention the mess that has become the Cedar Fair sale to Apollo. Some new investor is quickly buying up as much units of the company as the can, and are quickly approaching owning 20% of the company. What is their plan, though? Aside from publicly going against the sale to Apollo, who knows. I just hope the parks come out of all this okay. Universal Orlando is now offering an "augmented reality map" of the new Wizarding World of Harry Potter, due to open this Spring at Islands of Adventure. You can click here and follow the directions on how to experience this fun little technology trick. I actually did it and it was pretty neat! Universal is going full out on the marketing for the new attraction, and I can't blame them. As for the real deal, there's some new photos (pretty much always) available in this thread on Orlando United. 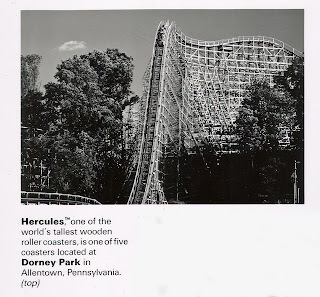 Get ready…because here it comes…Reaching new heights in fun-filled family entertainment Dorney Park continues its climb to the top with Hercules , the tallest wooden roller coaster in the world! 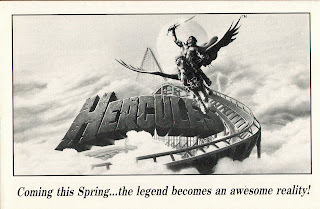 Hercules was full of thrills, immediately dropping 55 feet and navigating a high speed turn. Up next was an amazing climb to the top, followed by that record breaking 157 foot drop, while reaching speeds approaching 65 MPH. Descending this drop was amazing for more than its height. The train seemed to make an impossible turn, skimming over the edge of Dorney Lake. And, just when you thought you had “done it all” there’s that high speed, white knuckle journey under the stationm where those waiting in line get a “sneak peek” of what’s in store for them. Even way back in the late 80s and early 90s there were battles over the tallest, fastest, etc. 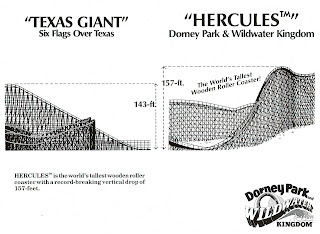 When the 143 foot tall Texas Giant opened in 1990, the Weinstein’s (who owned Dorney at the time) and Six Flags took the battle to court. 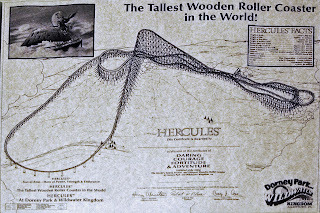 Each firmly believing their wooden coaster was “the worlds tallest” While the Giant’s lift hill was actually taller, due to the terrain Herc had a longer drop. It was only a matter of contention for a short period of time; in 1991 Cedar Point snagged the record with the 191 foot Mean Streak. 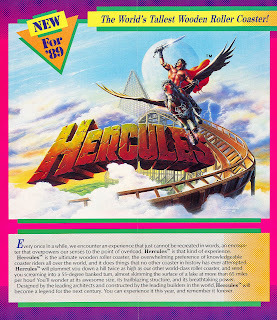 Like most Mega-Woodies of that era, Hercules suffered from many problems. Due to the aggressive design of the coaster, PTC was asked to design trains that would negotiate the coasters course with less wear and tear on the track. These experimental trains did not solve the problem. This lead to over braking in an attempt to compensate for the short-coming design. When that didn’t solve the problem, a plethora of modifications followed. Hills were lower and banking was changed. The ride was sometimes good and many times nearly un-ride able. Many referred to it, unlovely, as Hurts-your-knees. 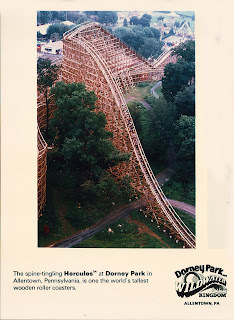 Our last ride was toward the end of Hercules run, over that span of time I grew to appreciate the aesthetics of the ride more than the ride it’s self. But, still I was saddened by the lost of another wooden coaster. 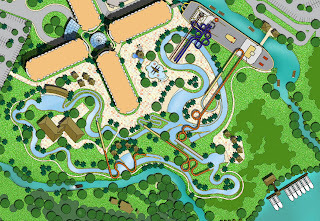 Schlitterbahn's big announcement was for a massive water entertainment resort complex located in Cedar Park, Texas. The first phase of the development is scheduled to open in the summer of 2012. And no, it's not just your eyes that keep reading it as "Schlitterbahn Cedar Point," it's mine, too! The project is really much more than just a water park, though. It contains the Schlitterbahn Boutique Hotel and Conference Center, a retail section, and restaurants along side the water park. 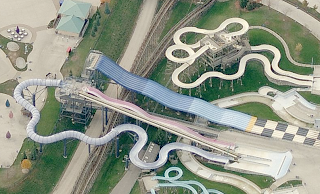 Speaking of that, it will utilize the trademark Schlitterbahn Transportainment system and from the art looks to contain several master blaster slides. When completed, the destination will span 95 acres and cost $360 million. The first phase to open will cover some 75 acres and represent a staggering $75 million investment. It will open as a fully functional year-round resort. How wonderful is it to see companies investing in entertainment destinations again? Three cheers for Schlitterbahn. After some playful teasing on their Twitter and Facebook accounts, Busch Gardens Williamsburg has let the cat out of the bag and announced their new for 2010 rides and attractions. • IllumiNights: A Busch Gardens Encore - A park-wide summer festival taking place after dark across all the different lands. Guests will be treated to illuminated trees and other spectacular lighting, as well as a finale pyrotechnic show. Each land will celebrate in a different way, so the experience will have several unique perspectives for guests. 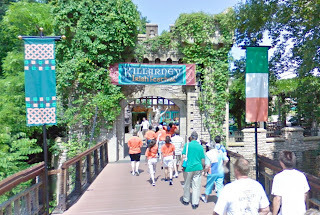 • The Ireland area of the park will see two new attractions, one ride and one show. The former Corkscrew Hill simulator will be replaced with "Europe in the Air," a new high tech simulator that will send guests soaring over popular European landmarks. The video and sound quality promise to be state of the art, far better than the film currently shown in the location. • The Abby Stone Theatre will also host a brand new live show for guests to enjoy. Authentic Irish dance, music, singing, and more will be performed daily, and the theater itself will also receive an upgraded look. • The ASA Action Sports World Tour will be making a stop at the park for the last three weekends in May. The extreme sports show will feature both bmx and inline skaters performing tricks on a custom built half pipe near the park's famous Festhaus. Busch Gardens also announced the return of their free in park concert series, as well as discounted park tickets when purchased online. Season pass prices have also stayed at 2009 levels, offering passholders more value than ever. With no mention of the area where the Wolf used to reside in these plans, one has to wonder if the park has something really special lined up for that line in the future. We can only hope! We've reached the final chapter in our monthlong journey through my Hersheypark brochure collection. When we last parted ways, the year was 1989 and the "park that chocolate built" had only three operating roller coasters to its name. Fast forward to 2008. A shiny new scream machine was about to make its debut, and it would do so as Hershey's ELEVENTH coaster. That's hot. I wasn't kidding! Hersheypark kicked off its 101st season of operation by inviting guests to "Heat Up with Fahrenheit". 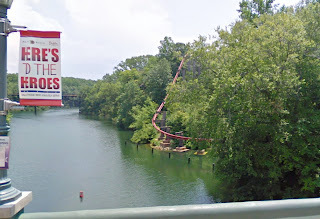 This coaster's beyond vertical first drop remains among the steepest in the country and earned it the signature slogan "97 degrees and falling fast". (A catchy slogan for sure, although "Drop it like it's hot" also seems appropriate.) This Intamin thriller was the fourth new coaster to make an appearance at Hershey in the '00s alone. Talk about making up for lost time! I love me some wicked cool concept art. I also love me some puzzles, which is part of the reason why I so enjoyed the viral marketing campaign that Hershey's creative team executed in conjunction with the announcement of Fahrenheit. Remember? That notorious little ARG known as "The Nantimi Project"? The one that spawned a whole new era of viral marketing tactics within the industry? These guys were the trendsetters. Often imitated, never duplicated. Something about the "#1" ranking advertised here rang a bell, and then it hit me: This is the same TripAdvisor accolade that was referenced in a 2008 Family Kingdom brochure I featured earlier this year. Boy, that thing really made its rounds! (For the record, Family Kingdom came in at #5.) I find it somewhat odd that two parks as different as these would use the same measuring stick for their success, but I suppose any kind of "top 10" ranking is a selling point. Anyway, beneath that banner is one of the attractions which most likely contributed to Hershey's #1 ranking. It's called East Coast Waterworks, and it's touted as the largest water play structure in the world. Before we move on, I'd like to point out the impressive amount of self-control that I exercised in not clipping the promotional coupon that appears in the lower right-hand corner. I'm all about saving money, but not if it comes at the expense of compromising a precious work of paper art. Over the past few weeks, we've seen Hersheypark make the transition from the "Summer Playground of Pennsylvania" to a full-fledged, well-established theme park. With that mission accomplished, the marketing tactics have changed a bit. 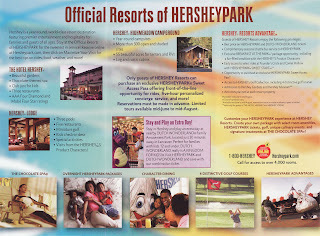 Gone are the ride-heavy brochures of years past, replaced by literature that emphasizes Hershey's status as a "year-round, world-class resort destination". While I personally wouldn't mind seeing a few (dozen) more ride photos in this brochure, I can certainly understand the reasoning. After all, there is no shortage of things to do in Hershey. Just ask the former CEO of Nantimi, who has covered many of them in his Hersheypark Hits the Road blog! Not only is Hersheypark too much happy for just one day, it's also too much happy for just one season. The park's Halloween, Christmas, and spring preview events have been providing a quick fix for the off-season blues since 1995, 1983, and 2000, respectively. I guess we can't cry over admission fees this week, as ticket prices aren't listed. I can promise you that they were a bit more expensive than the $17.95 of the late '80s, but that's what 8 additional roller coasters and a water park will do for you! I suppose that's only fair. 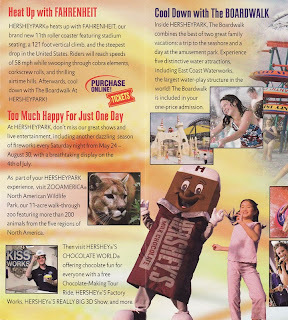 Well, much as I hate to bid adieu to my beloved Hershey, I'm afraid this brings us to the end of our Hersheypark brochure series. I hope you've enjoyed the stroll down memory lane as much as I have. You've come a long way, Hersheypark! 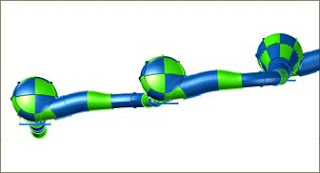 Tomorrow Schlitterbahn Waterparks will be announcing a large new project for Cedar Park, Texas. While not giving out any specifics yet, the company has said they plan to release details of an "experimental entertainment resort" at tomorrow's event. Known for their amazing chain of water parks, I would say it is fairly safe to assume that the project will include a water resort of some sort. Rumors are popping up that the development will include not only water activities, but a variety of other amenities and even possibly overnight lodging. Sounds somewhat similar in concept to the company's Kansas City project, which just opened its first phase this past summer. Stay tuned for all the details tomorrow! Six Flags Magic Mountain has (finally!) announced their 17th roller coaster - Mr. Six's Dance Coaster for the park's 2010 season. The ride, formerly the Road Runner's Express at the now closed Six Flags New Orleans, will sport a standout red, white, and black color scheme to match Mr. Six's famous tuxedo outfit. The ride is a standard Vekoma roller skater, and will join the park's two other children's coasters. The Funland Blog has more details that can be seen here. Morey's Piers, Wildwood, NJ, has started a major project for the 2010 summer season on their Mariner's Landing amusement pier. Along with the construction, they've also launched a decent sized teaser campaign for "Project 5292010" using several web 2.0 (are we at web 3.0 yet? I'm out of the loop...) type sites such as Facebook, Twitter, and Flickr. All the park's letting out now is that the attraction will be located on Mariner's Pier, on the site of the former mini-golf course. It will be unique in the Wildwoods, and have a decent budget - but details won't come till closer to Memorial Day. That leaves almost endless possibilities! Rumors originated last fall that Morey's was planning some type of new haunted walk-through, but there's an abundance of those types along the Shore... I have to think they'll be another layer or two to this new attraction. They've also released this teaser graphic on the blog for the project (a home base for updates, really) which is Latin for 'foolish fire.' That doesn't really help either! As always... stay tuned. Conneaut Lake Park has come a long way over the past couple years, but there's still something missing. It's vintage. It's wooden. And it's guaranteed to give you that funny feeling in the pit of your stomach...but only if we band together to get the old girl back into service! 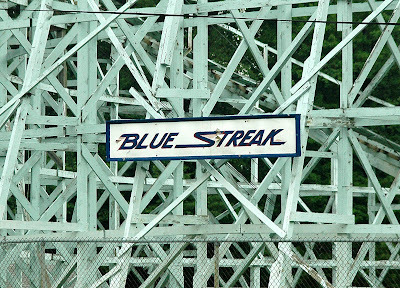 I'm speaking, of course, about the Blue Streak roller coaster. This wooden beauty has been SBNO since 2007, but the Trustees of Conneaut Lake Park are hoping to change that with your help. They have just kicked off a fundraising campaign through which they hope to raise the $125,000 necessary to fully repair and restore this historic ride. The Blue Streak has been subjected to many "bandaid" repair efforts over the past couple decades as Conneaut Lake Park has struggled to stay afloat, but these quick fixes were never intended to be a long-term solution. Now that the park is finally back on its feet, the time has come to rip off the bandaids and perform the required surgery. If you'd like to help preserve this magnificent piece of industry history, simply visit the Blue Streak Restoration Fund page of the park's web site to make a secure donation via PayPal. No amount is too small! One hundred percent of the donated funds will be allocated to the Blue Streak restoration effort. Why should you help? 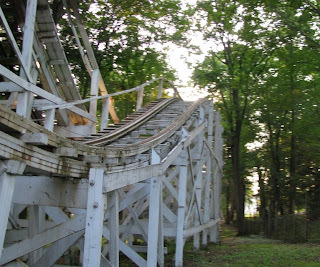 Well aside from preserving a historic, one-of-a-kind ride for future generations and regaining the opportunity to ride it yourself, you will be helping Conneaut Lake Park to attain the solid financial footing it needs to become 100% self-sufficient. I know that some of you remain skeptical of such fundraisers, but perhaps if you revisit our feature story (particularly Part 2) from our trip to Conneaut Lake Park this past summer, you will gain a better understanding of why such campaigns are still necessary. Many a renovation and restoration effort at Conneaut Lake has been fueled by community fundraisers. Let's help make this one just as successful! • Groves all over! 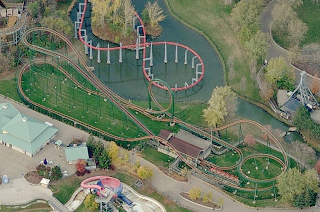 Lots of picnic groves still existed down around Thunderhawk, and where Steel Force's station now is. • More defunct rides than you can shake a stick at - the old tower from the Rocket swings is standing, along with the Sky Ride and Laser. • The Care Bear theater was still being used, with a Care Bear shop located right next door. 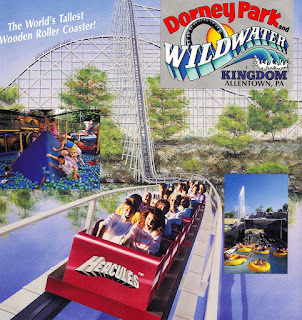 • Thrills Unlimited was still next to Wildwater, with it's Tank and Boat Tag, Indy Racers, and Mini Golf. • Half of the wave pool was still being reserved for boogie boards, going back to when the park hosted surfing competitions there. 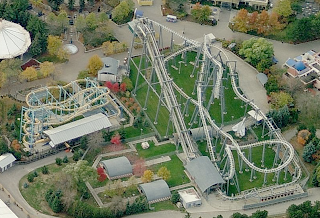 Canada's Wonderland first opened in 1981 and hasn't stopped building its roster of rides and attractions since. It's currently part of the Cedar Fair family, after having Paramount expand it greatly during their ownership period. The park was fully planned and designed as a true 'themer' and opened with a nice selection of coasters, including the above pictured Dragon Fire. The ride is a custom Arrow design, and looks like something that was designed in Roller Coaster Tycoon! SkyRider is one of a very small number (2) of Togo stand up rides still operating in North America. Behind it is another increasingly rare coaster, at least as of late. The Arrow suspended Vortex is very similar to Kings Island's Flight Deck, both of a slowly dying breed. 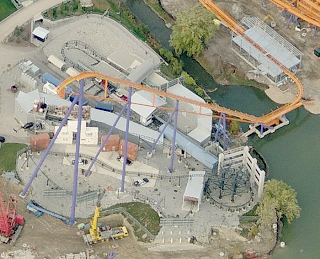 But the park has been adding new rides, too - here we see the mighty Behemoth under construction. The B&M hypercoaster stretches along one side of the park delivering airtime all the way. 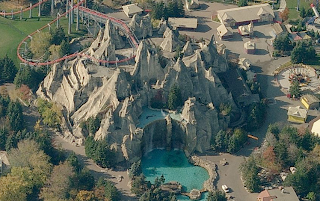 Canada's Wonderland has a fully developed water park as well, which has several attractions that sit directly over the track of the Mighty Canadian Minebuster. Two rides that Paramount added are featured here. One was themed to Top Gun, the other Tomb Raider. Now the Zamperla flying coaster on the left is known as Time Warp, and the Vekoma SLC is Flight Deck. To head to Bing's aerials, click here. 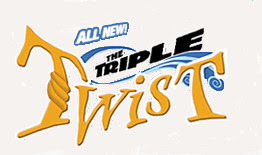 Great Wolf Lodge, located in Mason, OH, has announced a major new water slide for 2010: the Triple Twist. These Proslide Tantrums are growing like weeds at water parks all over the country (and world) this year. I can't blame the parks though, as the slides are easily marketable as something different than 'regular' slides, and have great theming, lighting, and color possibilities. Triple Twist will be extra special at night, as the course will feature LED lighting that adds yet another sensory experience to the attraction. Check out all the details on Great Wolf Kings Island's website. One of our readers, a budding young videographer named Rob Warren, recently decided to combine his love of roller coasters with his love of filmmaking and produce something that all of us can treasure. 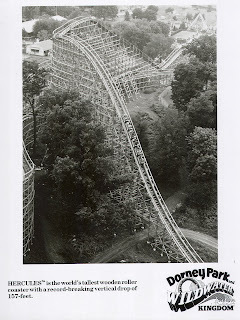 Upon hearing that the Big Bad Wolf was to be retired from Busch Gardens Williamsburg in September 2009, his passion for the industry drove him--literally--to make the long trek from Illinois to Virginia to experience this legendary coaster for himself before it vanished into the annals of history. During the course of his journey, Rob gathered photos, video footage, and interviews which would become the basis for an impressive documentary entitled "Say Goodbye to the Big Bad Wolf". Today we're pleased to share Rob's work with you on NPN. Whether you were the Big Bad Wolf's biggest fan or never even had an opportunity to ride it, you're sure to enjoy this moving tribute to one of the world's most memorable coasters. If you prefer, you can also access the video directly through Vimeo. We sincerely thank Rob for both his abundant enthusiasm and his willingness to share this wonderful contribution to industry history! 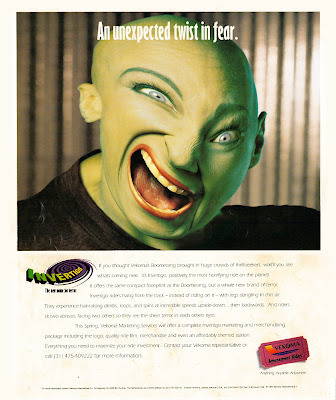 No, this post has nothing to do with Halloween... though from this 1995 Vekoma advertisement you very well may think it does. Vekoma took a bold approach in advertising their new Invertigo coaster design when they were shopping it to the greater amusement market. The ad promises that a complete marketing package was on the way, and eventually the first of these rides debuted at Liseberg in 1997. That ride was actually delayed a year, according to its entry on rcdb. After that, well, the ride didn't seem to sell nearly as well as it's regular non-inverted Boomerang sister, which is still being added to parks today. 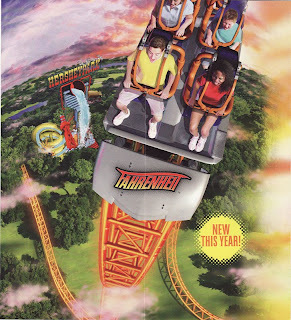 Paramount picked up two of the rides for Kings Island and Great America, Six Flags America added one, and that's it! The rides have since been removed from Liseberg and Six Flags America, with only the former Liseberg ride currently operating again. Maybe that face in the ad was just too scary? Something is afoot at Disney. The Orlando Sentinel reports that the Mouse's charges are hard at work on a "NextGen" technology project which promises to fundamentally alter the Disney theme park experience. But don't expect details to be forthcoming in the near future; the project appears to be shrouded in a heavy duty veil of secrecy. The last hurdle standing in the way of a Demon Dropping in on Dorney Park this summer has been crossed. 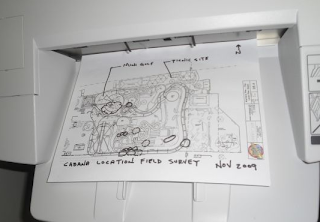 This past Wednesday, South Whitehall Township gave the park the green light to proceed with construction of their hand-me-down first generation freefall ride--which is fortunate, considering all of the ride parts have already arrived! Site preparation is scheduled to begin in the coming weeks, so we'll keep you apprised of the progress. A June debut is expected for the ride. According to the Branson Tri-Lakes News, Herschend Family Entertainment is no closer to deciding the fate of the former Celebration City site than they were when the park closed its gates for good in October 2008. They're hoping to establish some sort of family attraction and have begun to explore their options, but a park spokeswoman has stated that they are still in the "initial stage" of the process. There's still no word on what will become of the famed Ozark Wildcat coaster. Amusement industry enthusiasts aren't the only ones who have been following the retheming of Alton Towers' Spinball Whizzer coaster with interest. "Gamer" web site 1up.com has also taken notice, and reports that the newly rechristened "Sonic Spinball" will open to the public on February 13. While most parks have long since announced their plans for new 2010 attractions, some are still holding out...and teasing us to boot! Enchanted Forest in Turner, Oregon posted a mysterious status on their Facebook page back in mid-December which hints at a "top secret" project that is currently underway in Western Town, but they have yet to reveal any further details. Likewise, Magic Springs recently tweeted that "big news" is coming soon. We'll be keeping a close eye on these two! One park which will not be getting a new ride in 2010 is Lagoon. 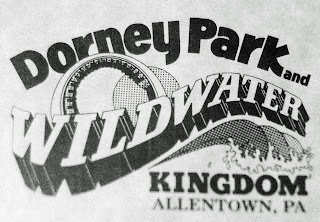 Despite sightings of what appeared to be coaster track back in October, the local news reports that economic factors have forced park management to forgo plans for a major new attraction this year. 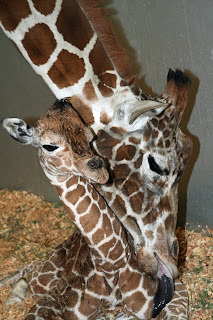 I'm ashamed to admit that I never did get around to entering Six Flags Discovery Kingdom's baby giraffe naming contest. (There was research required, and I'm a bit maxed out on time these days!) Fortunately, more than 650 fellow giraffe lovers did take the time to submit entries, and five finalists have been selected. You can vote for your favorite name on the park's web site through January 29. The winner will be announced on February 1. Here at NPN, the worst news we'll ever have to deliver is that a park or a beloved ride is being demolished. But as sad as those events may be, there are many people in this world who have real problems, and PARC Management is making it easier for you to help some of them. By making a donation to the PARC Foundation, you can make a difference in the lives of those affected by the recent earthquake in Haiti. As Magic Springs and other PARC properties have been announcing on Facebook, an anonymous individual has generously offered to match all donations up to $10,000 which are made through February 5, which means your contribution will go even further! If you haven't already, please spare what you can to help our brothers and sisters in Haiti. 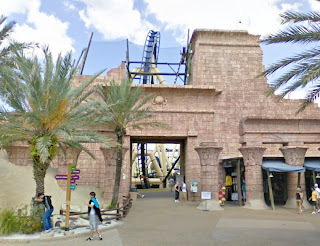 The roster of amusement parks featured on Google's Street View photos now includes both of the American Busch Gardens parks. For instance, here's a shot of the Jungala section of the park, which really looks very pretty. 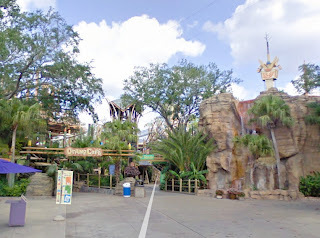 That's the top of the family drop tower type ride sticking out of the rockwork on the right. 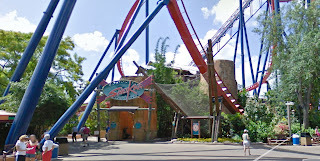 And the entrance to SheiKra, the massive B&M vertical drop coaster at the park. You can also stroll around and stop and take a peek at Montu, standing up behind it's impressive theming treatment. And lastly here's a shot of a transplant ride from the Busch park up North, Cheetah Chase. If you want to tour the park, click here, and then zoom in all the way and you're off! Busch Gardens Williamsburg is also now featured as well. The shots were all taken this past summer for both parks, best I can tell. Here's Big Bad Wolf howling over the Rhine River. And the playful Land of the Dragons with some pretty menacing coasters towering over it! This is the splash down section of Griffon - I was hoping that the camera would have caught a train going through but no such luck. It would have been fun to see those kids getting drenched! 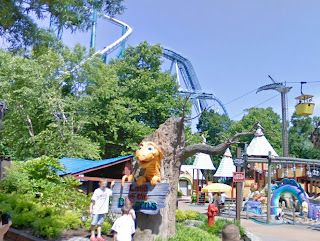 To take the tour of Busch Gardens Williamsburg, click here. Here's hoping many more parks are featured by Google!